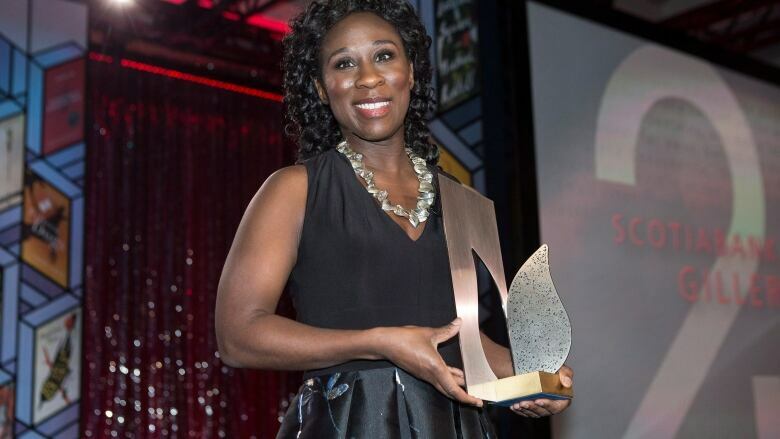 Esi Edugyan, author of the novel Washington Black, has won the 2018 Scotiabank Giller Prize on the 25th anniversary of Canada's richest literary honour. 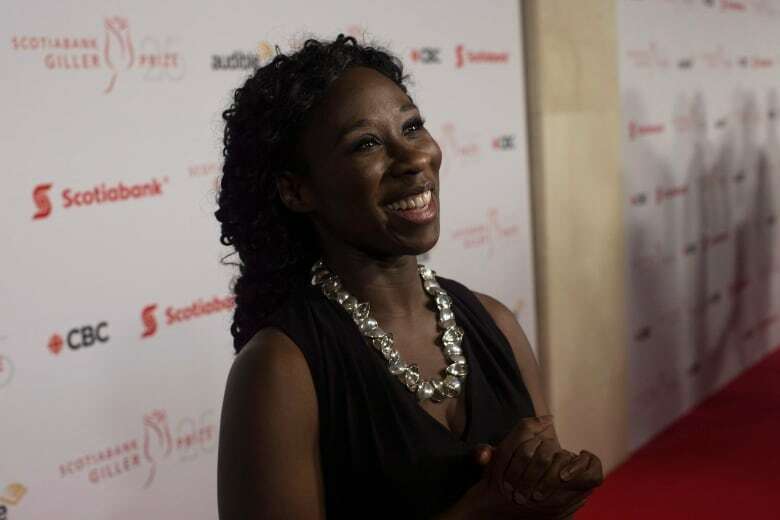 Esi Edugyan, author of the novel Washington Black, has won this year's $100,000 Scotiabank Giller Prize, the 25th anniversary of Canada's richest literary honour. It is the second Giller win for the Victoria, B.C.-based writer. "I wasn't expecting to win," she said as she got on stage to accept the award. "So I didn't prepare a speech." Published by Patrick Crean Editions, the novel follows the saga of an 11-year-old boy who escapes slavery on a Barbados sugar plantation with the help of the owner's kinder brother. It is also a finalist for the 2018 Man Booker Prize and the Writers' Trust fiction award. Edugyan also won the prize in 2011 for her novel Half-Blood Blues. Both times, she beat out Patrick deWitt. "I just have to say that in a climate where so many forms of truth telling are under siege," Edugyan said in her short acceptance speech, "this feels like a really wonderful and important celebration of words." The National's Rosemary Barton speaks with Esi Edugyan following her win. This year's jury — comprising journalist Kamal Al-Solaylee, Toronto International Film Festival executive Maxine Bailey and writers Heather O'Neill, Philip Hensher and John Freeman — called the winning book "a supremely engrossing novel about friendship and love and the way identity is sometimes a far more vital act of imagination than the age in which one lives." Patrick deWitt for his novel French Exit. Thea Lim for her novel An Ocean of Minutes. É​ric Dupont for his novel Songs for the Cold of Heart. Sheila Heti for her novel Motherhood. The Giller was established in 1994 by businessman Jack Rabinovitch in memory of his wife, literary journalist Doris Giller. 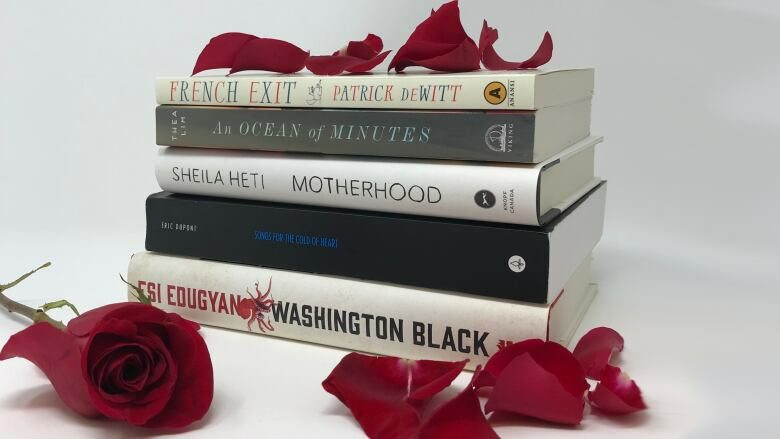 Past winners have included Margaret Atwood, Mordecai Richler, Alice Munro, André Alexis and Michael Redhill. Rabinovitch, who died in August 2017, is set to be honoured with a namesake literary salon at the Toronto Reference Library.